We have updated our Galveston Conference information including silent auction details, tentative schedule, and transportation details! A Call to our Professional Colleagues! We would like to extend a invitation to all of our professional colleagues to review the 2019 conference information and request your input! Please visit the page below for details! Don’t Miss Out on the Early Bird Special!!! Pay Now: Early Bird Special! Register by January 31, 2019 and receive a 10% discount on registration costs! Register Now to enjoy the Early Bird savings! Pay Now: Early Bird Special! Register by January 31, 2018 and receive a 10% discount on registration costs! Pay Later: You can also make registrations for paying later. The Early Bird Special does not apply to this registration method. Reserve your room for the 2019 conference today! Folks can now reserve your hotel rooms at The Hotel Galvez. Please be sure to read all details before attempting to reserve your room! The Upcoming Alstrom Syndrome Multidisciplinary Clinic at Greater Baltimore Medical Center (GBMC), has been rescheduled for December 6 – 9, 2018. If you have any questions, don’t hesitate to reach out to us. PLEASE NOTE: THIS CLINIC WILL BE FOR THOSE 1 -12. Anyone is welcome! Information and consults will be in English. WE NEED TO HEAR FROM YOU BY July 20th! BACKGROUND: As many of you are probably aware, ASI has realized the long-held dream of establishing an Alstrom Syndrome Center of Excellence. In what we hope will be the first of several additional centers, we have been working with Clair Francomano, MD at the Greater Baltimore Medical Center. 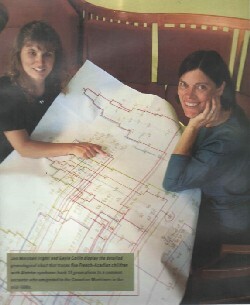 Clair, a longtime friend and valued colleague of Jan’s, now serves as Chair of the Scientific Advisory Board of ASI. To date, we have held Clinics for members of the A-Team, for pediatric patients, ages 1-11 and for adolescents, ages 12 – 17. These early efforts are designed specifically to familiarize a team of specialists with the syndrome, its range and intensity of phenotypes, and to broaden the awareness of psycho-social issues which have been largely ignored. We have also focused on the assessment and possibilities of cochlear implantation for our kids. Another important goal has been to acquire and maintain consistent longitudinal data and to ultimately have Centers where new patients of any age can go, be supported, and avoid being confronted with ignorance about the Syndrome. Caregivers and adult patients will receive written comprehensive notes, specific recommendations, and any test results generated. ONGOING CONSIDERAIONS: Please be aware that the resources of both ASI and GBMC are limited. Sadly, at present we can only accommodate 8 participants per Clinic, and priority is extended to NEW attendees. Anyone not selected for this clinic will still be eligible to attend future age appropriate opportunities based on medical history, specific medical issues, and the availability of specialty physicians, who donate their time and expertise. “Veterans” of previous clinics SHOULD let me know if interested. WHO: For this particular Clinic we are seeking younger pediatric participants (aged 1-12) accompanied by a parent or parents or a close experienced relative such as a grandparent. We are not really set up to incorporate healthy siblings, but feel free to consult if you’re stuck. WHEN: September 13 – 16. The clinics/consultations will take place on Friday and Saturday, September 14 and 15, so participants and any care-givers will arrive during the day on Thursday, September 13 and depart in the morning on Sunday, September 16. WHERE: Sheraton Baltimore North Hotel and Greater Baltimore Medical Center. In addition to sleeping rooms, we’ll have dedicated meeting and recreational space. WHAT: We expect the following disciplines to be available: ENT, audiology, ophthalmology, genetics, nephrology, cardiology, endocrinology, life coaching/psychology, and gastroenterology. Part of our time will include a thorough review of cochlear implantation and its possibilities for patients with AS. During the Saturday multi-disciplinary clinic, you will have your own examining room, and the various docs will come directly to you. Nice change for most! COSTS: Parent/Caregivers/Patients are ONLY responsible for transportation to and from Baltimore. ASI will cover all other costs: transportation from the airport or train station both to/from the Sheraton and to/from GBMC. Rooms will be arranged. All meals (b/l/d) will be provided. Most will be a la carte from the restaurant menu to accommodate individual tastes. There will be a “banquet dinner” either Friday or Saturday evening depending on the availability of the professionals involved. Depending on insurance, in rare instances there may be a modest cost associated with a few tests. In all previous clinics, no one has been charged more than $100 (USD). MUST DO: If you wish to attend, you will need to provide GBMC with comprehensive medical records well AHEAD OF TIME, and you will receive specific contact info about what is needed directly from GBMC. WHAT NEXT? : If you are interested, please contact Robin by email at robin.marshall@alstrom.org OR call him at (207) 244-7043. Please – email (NOT facebook!!!) is best. We need to hear from you ASAP but no later than July 20!! Read the full press release on Rhythm Pharmaceuticals’ website. Get yourself excited about the 2019 ASI Conference! Come get excited about The 9th Alström Syndrome International Conference in Galveston, TX by checking out this amazing highlights video from the 2016 Conference in Plymouth, MA! 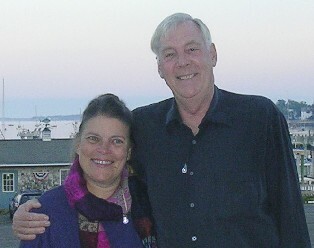 Many, but certainly not all, of you are aware that for 33 years I, with my wife Jan by my side, was the owner, manager, and producer of the Deck House Restaurant and Cabaret Theater, a largely summer seasonal enterprise, first in Bass Harbor and then in Southwest Harbor. That enterprise matched up well with my teaching career at MDIHS (Language Arts) and my early contributions to supporting Jan, a researcher for 46 years at JAX, in her efforts with Alstrom Syndrome International (ASI), a 501 (c) (3) charity established to treat and cure Alstrom Syndrome, a horrific and rare genetic disorder that impacts every cell, every organ, and every system in an affected individual’s body. many more. Today, a great many Players are or have appeared on Broadway, sung with the Metro- politan Opera, or toured the world sharing their gifts. When Jan died this past September, a number of former Players (Laurie Beal, Annie Leonardi-Merchant, Jackie Bachman, Frank Bachman, Valerie LaPointe, Amy Gwinn-Becker, and Danny Williams) stepped up to the honor of performing at Jan’s memorial service held in the Amphitheater at Camp Beech Cliff. John Tercyak, a longtime friend and supporter, also performed and provided accompaniment. Those in attendance included many Alstrom patients and families, Jan’s colleagues from The Laboratory, our nuclear family members, and many, many friends and longtime admirers from the community-at-large. As is common, many of the related branches of this large, all-inclusive family, could not attend, and one of my enterprising Players suggested the possibility of pursuing a Deck House reunion, for which Jan herself had advocated the past few years. Based on an enthusiastic response, the possibility and then the likelihood and then the reality of a Benefit Concert to honor Jan and to support ASI’s research efforts was born. 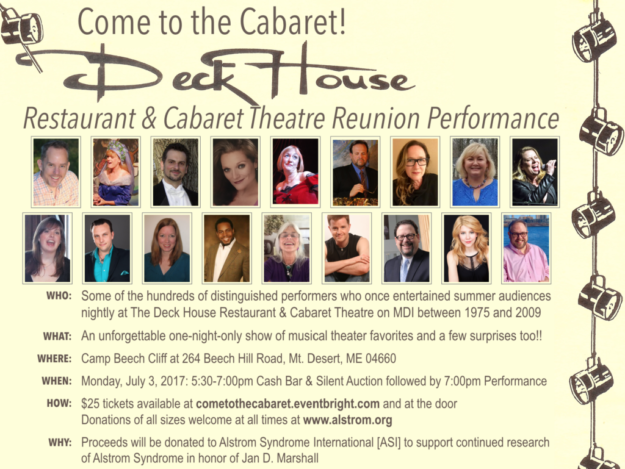 – In Honor of Jan D. Marshall to Benefit Alstrom Syndrome Inter- national – will be performed Monday, July 3 at Camp Beech Cliff at 7:00 PM. cometothecabaret.eventbrite.com or at the door. All proceeds will benefit Alstrom Syndrome research efforts!